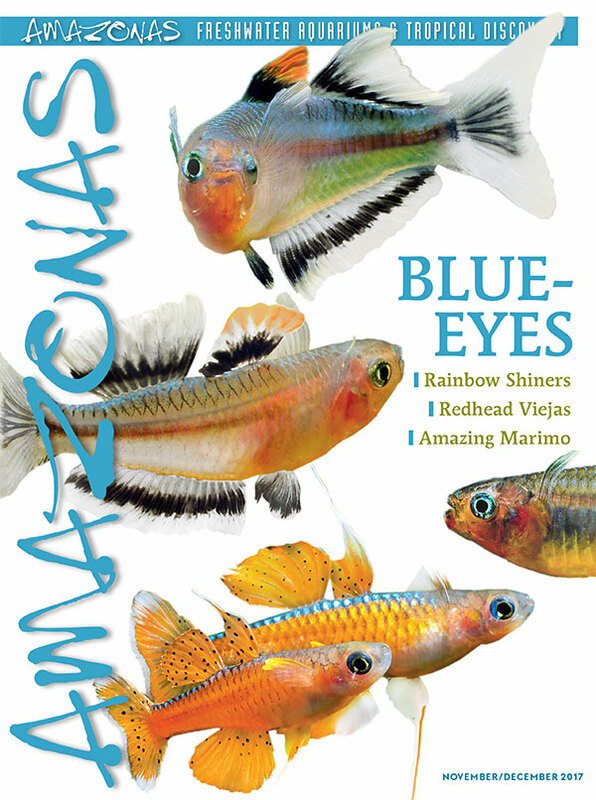 A gorgeous issue arriving now: the cover of AMAZONAS Magazine, Volume 6, Number 6, BLUE-EYES. On the cover: Pseudomugil conniae and P. luminatus by Hans-Georg Evers. 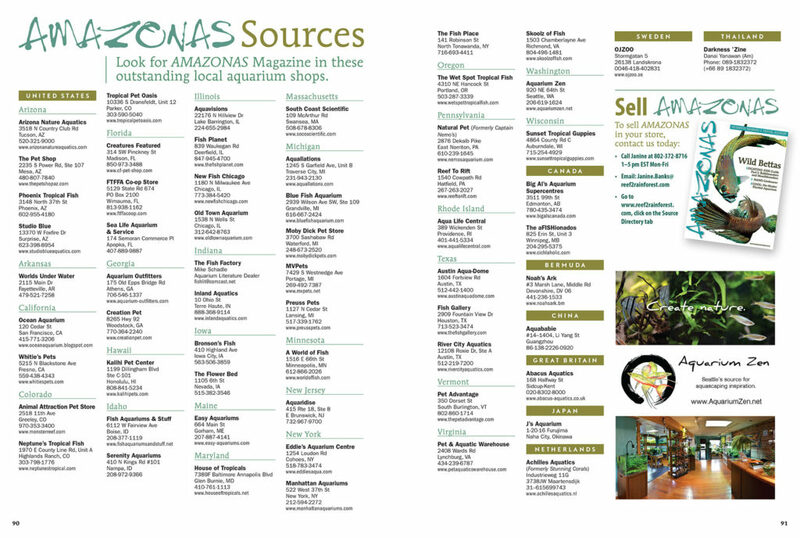 The November/December 2017 Issue of AMAZONAS Magazine is printed and now on its way to magazine subscribers, local aquarium shops, and better bookstores. On sale October 10th, 2017. The Table of Contents: a roadmap to diverse content, features, and expert contributors to be found in this issue. Read the TOC online here. “[Blue-Eye Rainbowfishes] have real addiction potential. 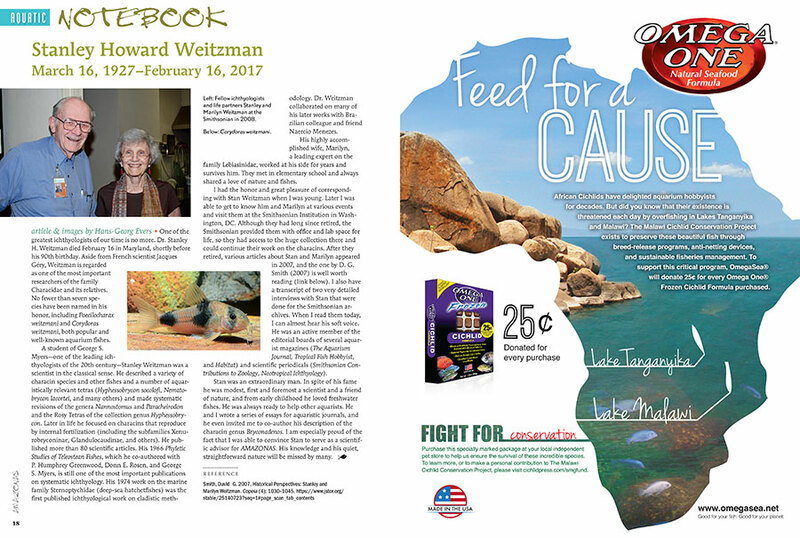 Lovers of small fishes who have not yet had the pleasure of keeping blue-eyes will surely be nudged toward setting up a small aquarium and acquiring some of them.” – Hans-Georg Evers, introducing the new issue. 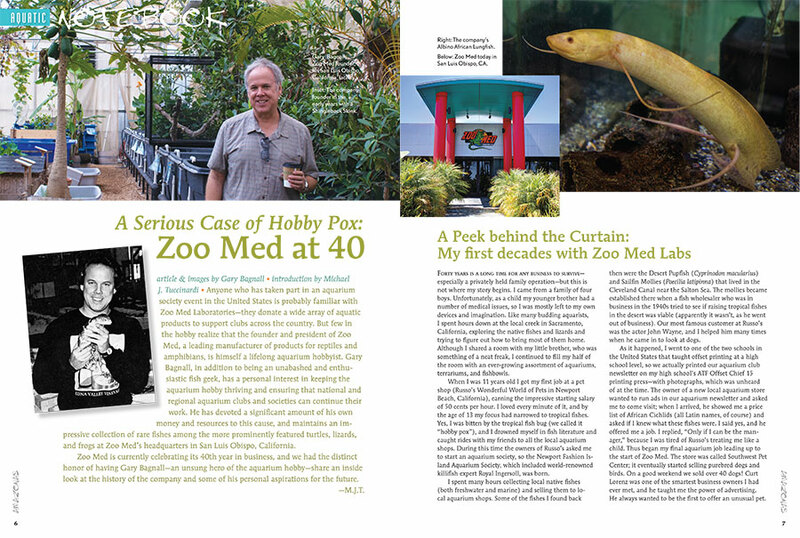 “Zoo Med is currently celebrating its 40th year in business, and we had the distinct honor of having Gary Bagnall—an unsung hero of the aquarium hobby—share an inside look at the history of the company and some of his personal aspirations for the future.” —Michael J. Tuccinardi. 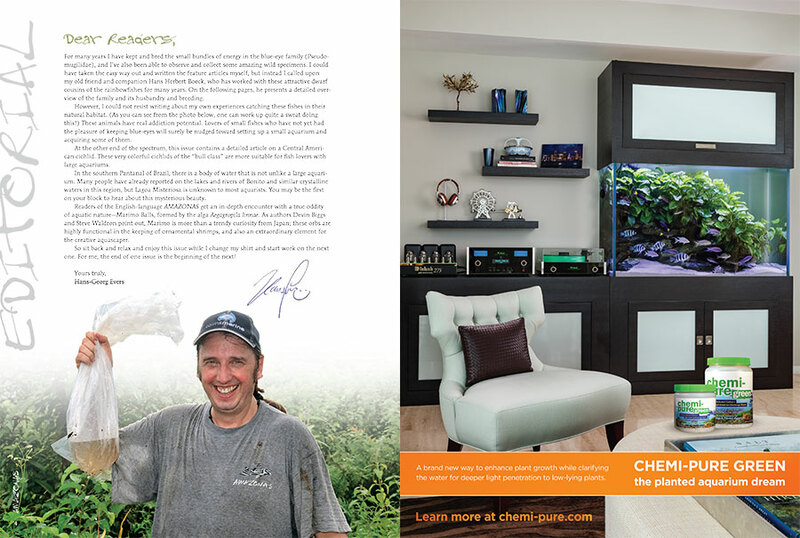 Read this article online in a special excerpt from this issue. 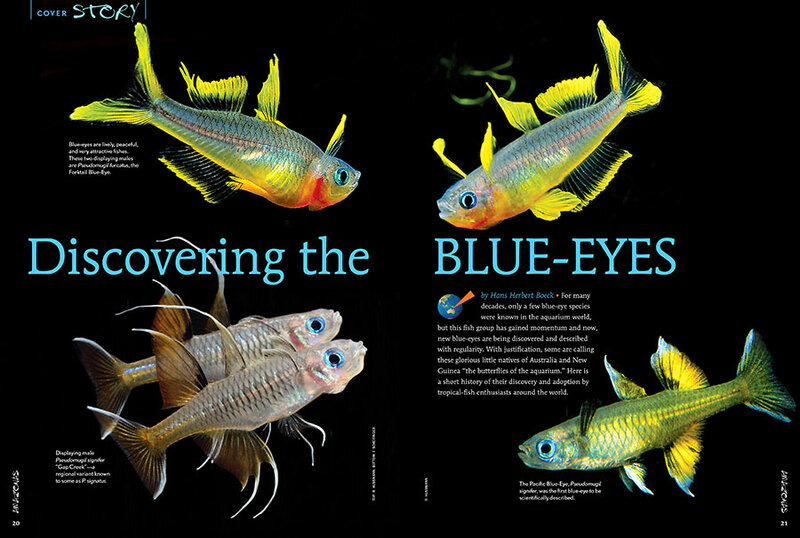 For many decades, only a few blue-eye species were known in the aquarium world; now, new blue-eyes are being discovered and described with regularity. With justification, some are calling these glorious little natives of Australia and New Guinea “the butterflies of the aquarium.” Learn more in our feature coverage, starting with “Discovering the Blue-Eyes” by Hans Herbert Boeck. 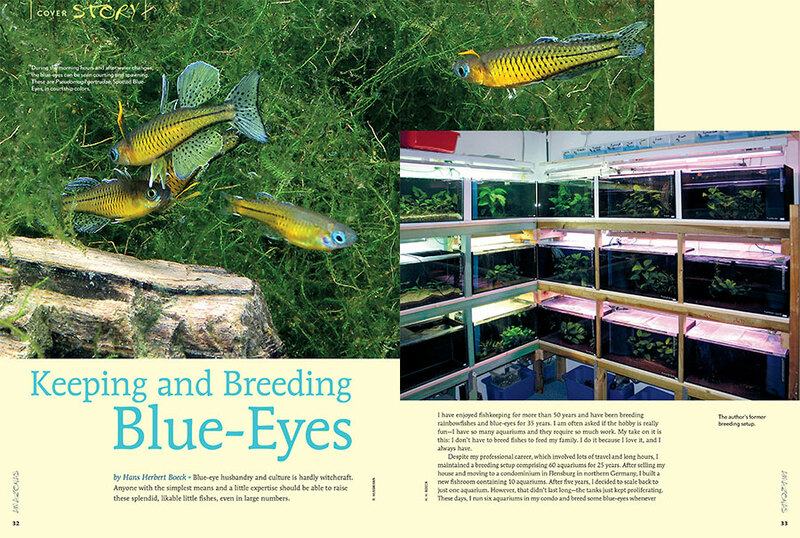 Blue-eye husbandry and culture is hardly witchcraft. Anyone with the simplest means and a little expertise should be able to raise these splendid, likable little fishes, even in large numbers. Hans Herbert Boeck tells all. 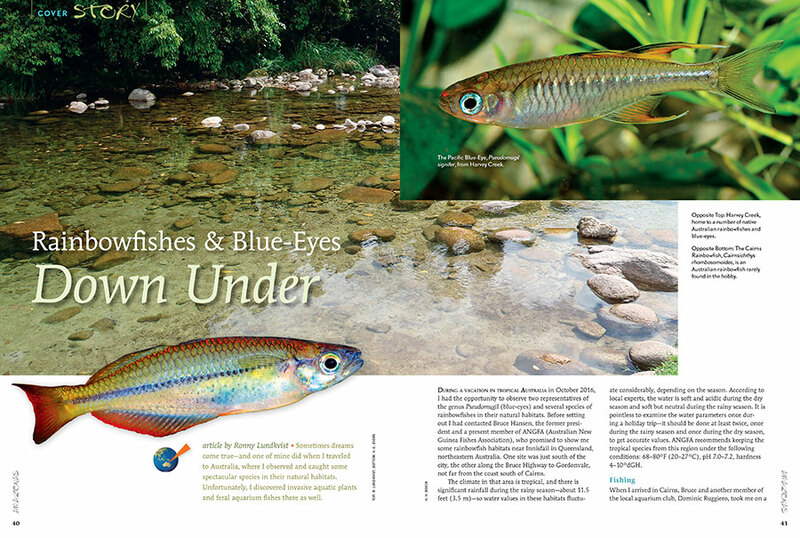 Journey to Australia with author Ronny Lundkvist to discover Rainbowfishes & Blue-Eyes Down Under: Exclusively in our newest issue. 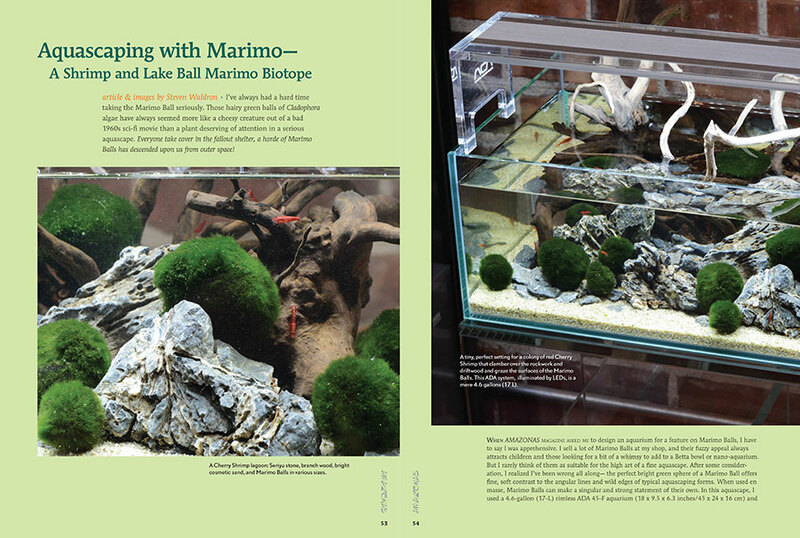 Marimo Balls: Like multitudes of autotrophic Tribbles infesting the main bridge of the USS Enterprise, suddenly they are everywhere. Learn more in the latest contribution from Devin Biggs. 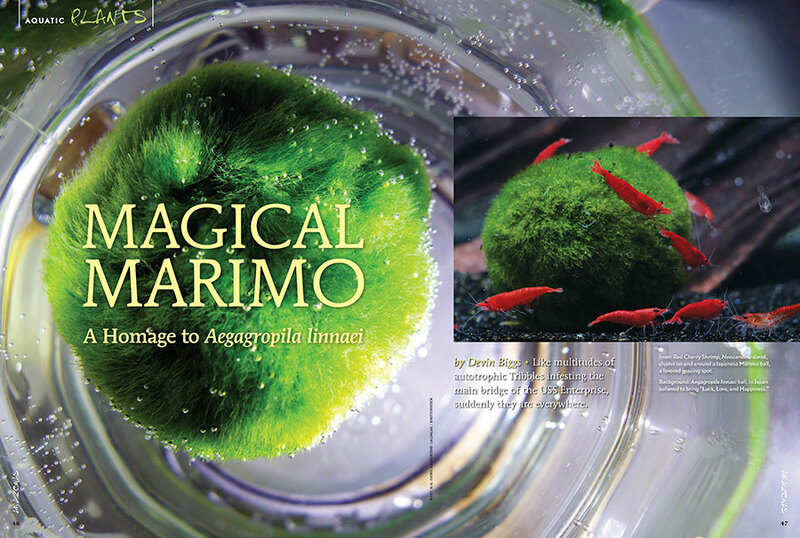 “When AMAZONAS Magazine asked me to design an aquarium for a feature on Marimo Balls, I have to say I was apprehensive; I rarely think of them as suitable for the high art of a fine aquascape. After some consideration, I realized I’ve been wrong all along.” See Steve Waldron’s inspired creation in the latest issue. 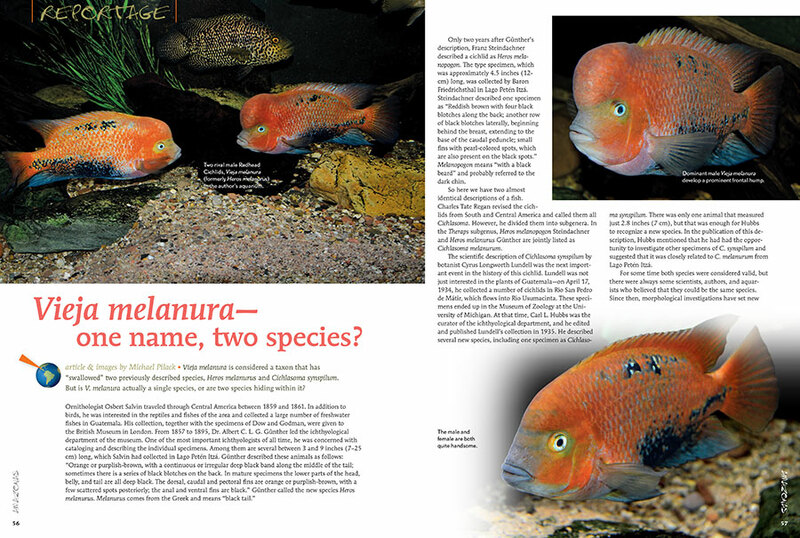 Michael Pilack investigates the question, “Is Vieja melanura actually a single species, or are two species hiding within it?” Learn what he uncovers in the latest issue of AMAZONAS. 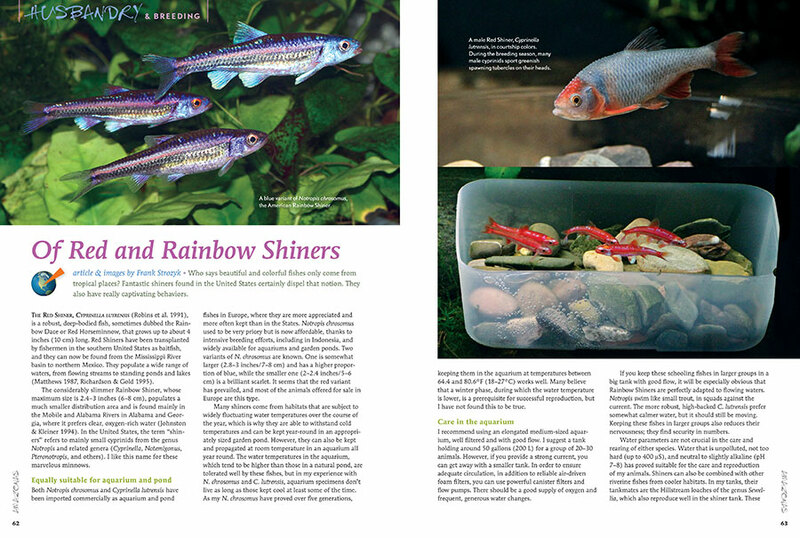 Enthusiasts of North American native fishes get a double helping of Shiner appreciation with Frank Strozyk’s article “Of Red and Rainbow Shiners.” Experience these worthy aquarium residents in the pages of our new issue. 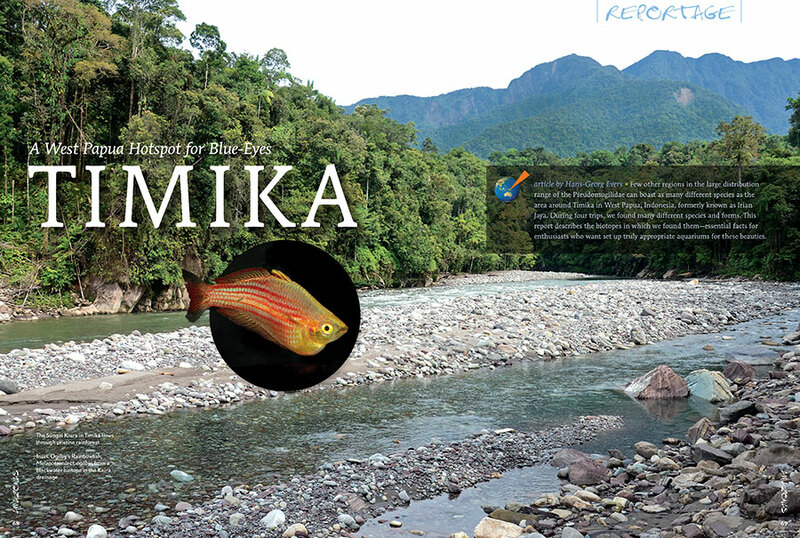 Hans-Georg Evers journeys to Timika, West Papua, Indonesia, and returns with a report describing the biotopes for many different Blue-Eye Rainbowfishes—essential facts for enthusiasts who want to set up truly appropriate aquariums for these beauties. 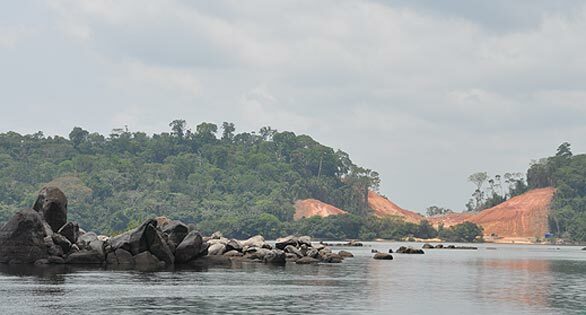 Get all the details in the new issue of AMAZONAS. Who wouldn’t love jumping into an oversized aquarium and seeing his or her favorite fishes in their element? You can actually do this in Bonito, Brazil. 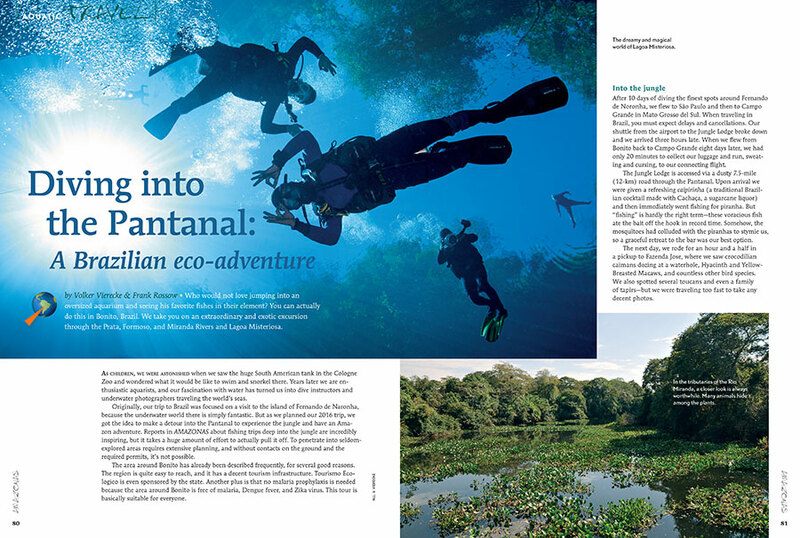 Dive the Pantanal with Volker Vierecke and Frank Rossow in the new issue of AMAZONAS. 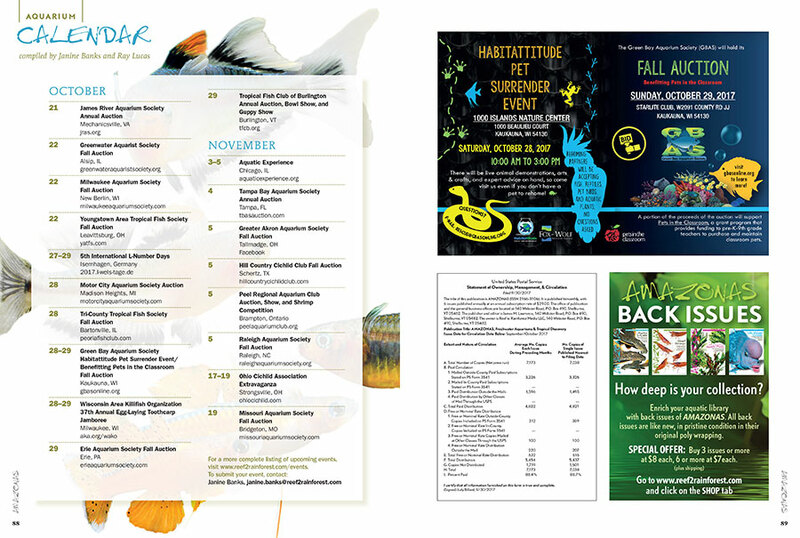 These events are not to be missed! 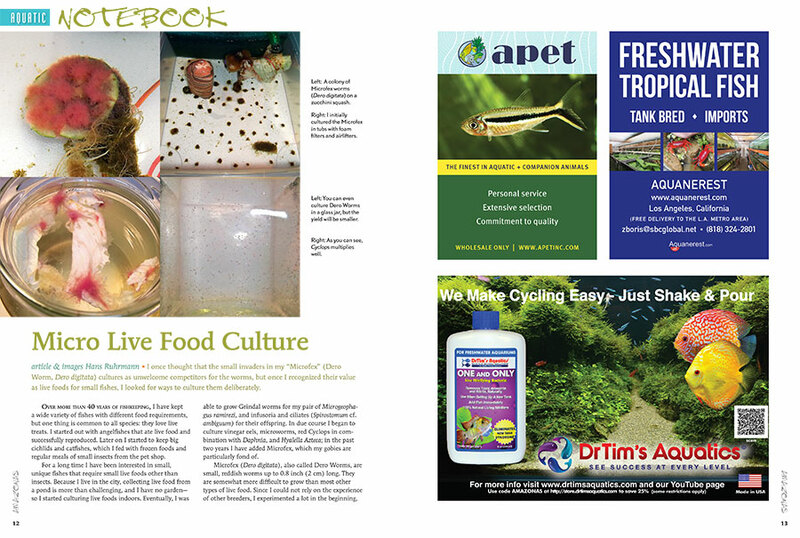 Discover what’s happening in the aquarium world through our print and online Aquarium Calendars. Have an event coming up? 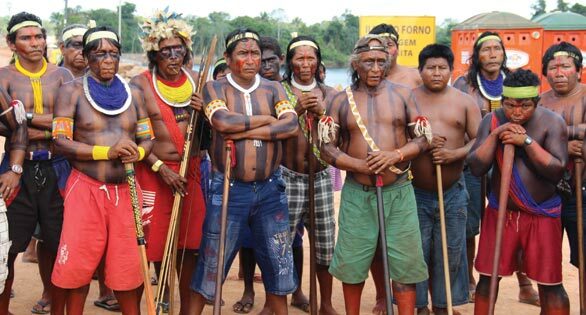 Send Janine Banks an email so we can let your fellow AMAZONAS readers know about it. 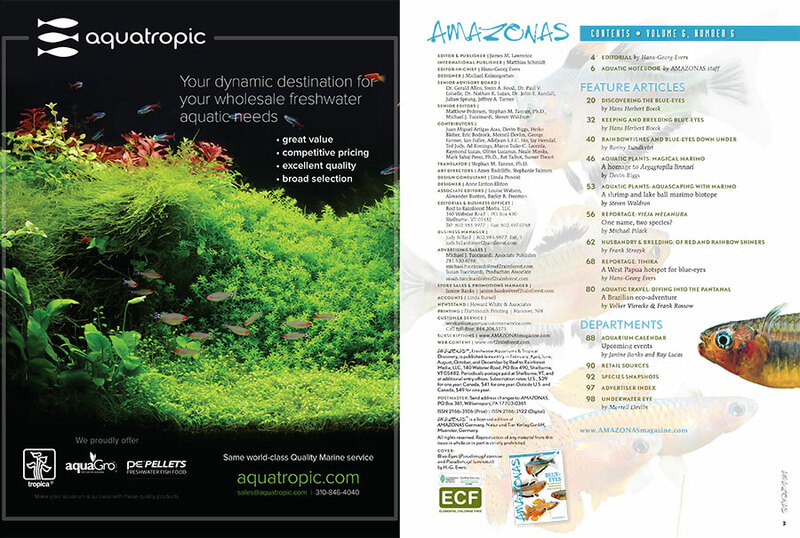 AMAZONAS Magazine’s must-read Species Snapshots reveals the newest and most interesting freshwater fish coming into the aquarium trade. 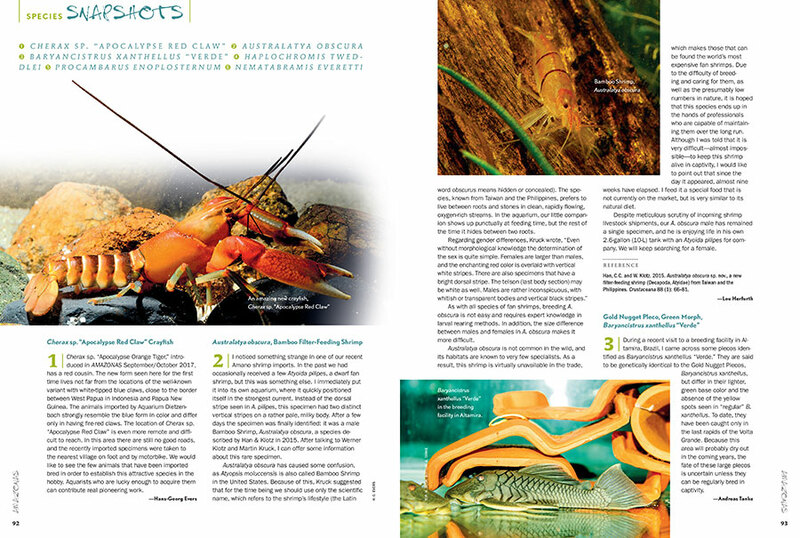 In this issue: Apocalypse Red Claw Crayfish (Cherax sp. ), Bamboo Filter-Feeding Shrimp (Australatya obscura), a rare Green Morph of the Gold Nugget Pleco (Baryancistrus xanthellus “Verde”), Tweddle’s Hap (Haplochromis tweddlei), the American Black Mottled Crayfish (Procambarus enoplosternum), and Everett’s Giant Danio (Nematabramis everetti).